Chemetall opens a new laboratory in Querétaro, México. Credit: PRNewswire/Chemetall. 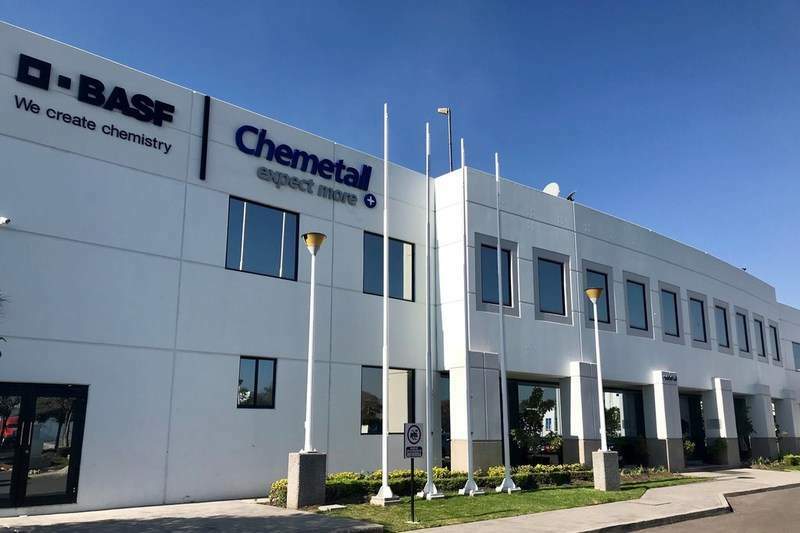 Chemetall has opened a new laboratory at its 38,700ft² production and office facility in Queretaro, Mexico. The new and externally certified lab is expected to support simulation and product development in the surface treatment industry. The new analytical laboratory will offer analytical, application and corrosion services, including customer support, solution and surface analysis, manufacturing quality control (QC) support, metalworking coolant management and inductively coupled plasma (ICP). It will also provide ion chromatography (IC) and scanning electron microscope (SEM) services. In addition, the lab will offer process simulations using spray washers, immersion tanks and paint spray booth processes, as well as provide film, cyclical and humidity testing. In December 2016, BASF completed an acquisition of Albemarle’s global surface treatment business Chemetall for $3.2bn to expand its coatings division. Chemetall develops and manufactures custom technology and system solutions for surface treatment. Its products are designed to protect metals from corrosion, facilitate forming and machining, allow parts to be optimally prepared for the painting process and ensure proper coating adhesion. Chemetall’s chemicals have applications in industries such as the automotive, aerospace, aluminium finishing and metal forming sectors.